ABLE’s cutting edge SlugMaster Intelligent Ultrasonic Flow Metering System has been granted a patent by the United States Patent and Trademark Office. 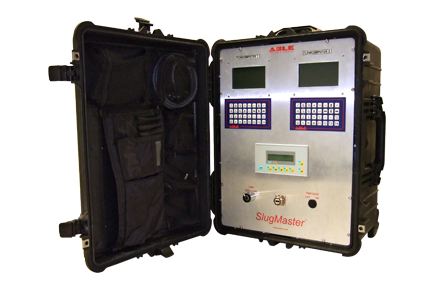 The SlugMaster is a product of ABLE’s innovative Research and Development Division, specialists in ultrasonic metering techniques and is designed to address difficult process parameters often associated with separated crude. The SlugMaster uses dual ultrasonic DD (Dynamic Density™) technology and was specifically developed by ABLE to consistently measure liquid flow during challenges arising from changes in process parameters when process density fluctuates with gas volume fraction. Innovative voting logic derived from a proprietary algorithm selects the most suitable technology based on process conditions. Transit Time ultrasonic flow metering is used during periods of relatively low aeration with seamless and precise switching to Reflexor metering during heavy aeration, slugging, slurry or solid particle entrainment. The Reflexor is calibrated against the inherently more accurate Transit Time and Density Input at the point where the latter is just failing to measure. The result is a non-invasive metering system which facilitates an accuracy exceeding that which could be achieved from either technology, operating in isolation, at the transition point. During the development stage, factory testing against a Coriolis Mass Flow Meter demonstrated accuracies of better than 3% under all test conditions and as good as 1% for the majority of the trials. This performance has been borne out by full installations, including those in the North Sea and the Kashagan Field. 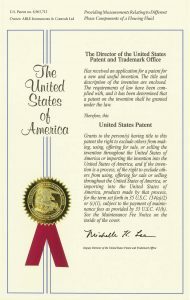 To view the new ABLE SlugMaster patent certificate, please click here. For more information about The ABLE SlugMaster, available in both dedicated and portable versions, please click here.